I have them printed out and looking for a window of opportunity to play! I think I'll make some masculine birthday cards for the new year! THANKS for doing this! Love this sketch, Lucy, and your card is beautiful - so soft! 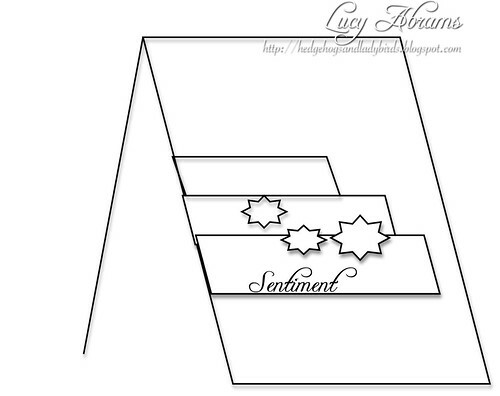 Another fabulous sketch Lucy...one to use again and again! 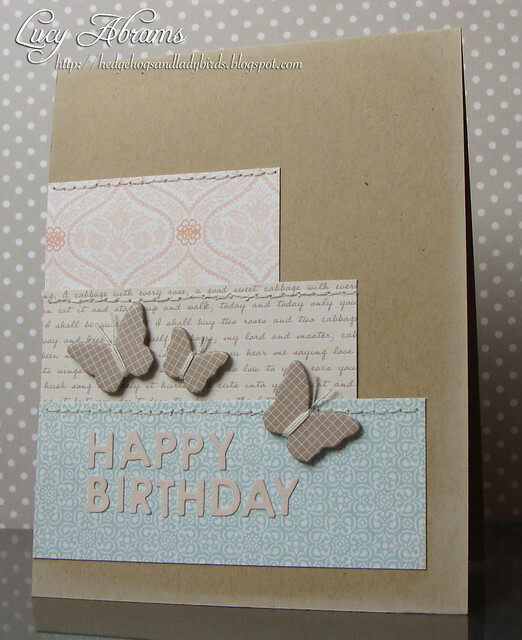 Your card is so pretty, loving the butterflies! thanks for another lovely sketch, and your comment on my blog, much appreciated. Thanks for a another great sketch. Your card is brill, I love the colours.